Exporter of a wide range of products which include stainless steel magnetic driven pump and magnetic driven pumps. 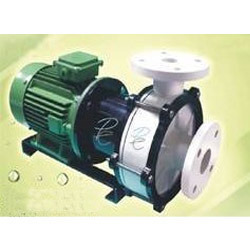 Our customers can avail from us quality-approved Magnetic Driven Pump. The offered range is based upon the latest technology, that is, it is cent percent leak proof and seal- less magnetic driven pumps. Also, these pumps are highly responsible for the movement of liquid or chemical present inside it. We are a reputed organization that is involved in manufacturing, supplying and exporting Magnetic Driven Pumps. High tech machines and advanced technology are employed in the manufacturing process following industry set guidelines. The packaging personnel we have employed pack these in premium quality material to ensure their safe transit. 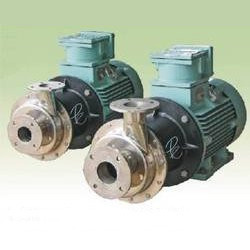 Looking for Magnetic Driven Pump ?